The March of Dimes sponsors Prematurity Awareness Month every November, and World Prematurity Day is November 17th. As a family dentist in Pella, IA, Dr. Allen wants to let you know how premature birth can affect dental health. Premature birth in humans is defined as birth with less than 37 weeks of gestation. A normal pregnancy runs 40 weeks. Preemies often have health issues, ranging from lapses in breathing to gastrointestinal reflux disease to respiratory distress syndrome. Did you know that babies born prematurely also tend to suffer with certain dental problems? Enamel Hypoplastia – This is a lack of sufficient tooth enamel, which is the hard white coating on teeth. Enamel hypoplastia makes a preemie more vulnerable to cavities. You’ll need a glass of salt water, sugar water, lemon water, tonic water, pencil and paper, and Mom or Dad to help. Assemble your materials and ask your mom or dad to fill the glasses but to keep what each one is a secret so you’ll be surprised. Choose a glass, but don’t sip yet! Instead, take a big whiff. Can you guess what the flavor is by the smell? Receptor cells in your nose catch food aromas and send messages to your brain, readying your taste buds before you even take a bite. Next, take a sip. Swish the liquid around. Do you taste it most at the back, the sides, or the front of your tongue? Is it bitter, sweet, sour, or salty? Write down your observations on a sheet of paper. Repeat this process with all four of the glasses. When you have finished, have Mom or Dad check your guesses. You should have tasted the salt and sugar water on the tip of the tongue, the lemon water on the sides, and the tonic water at the back of your mouth. How many did you get right? Taste is a culinary adventure and scientific experiment all rolled into one. That’s why it’s so important to take good care of your teeth and gums. Daily brushing and flossing plus regular dental checkups are essential for a lifetime of tasting fun. 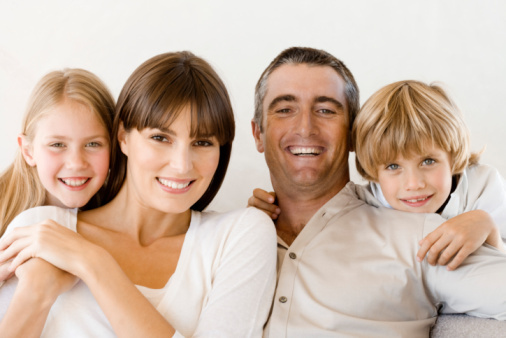 Dr. Jeffrey Allen provides comfortable dental care to patients of all ages. Call (641) 628-1121 today to schedule a checkup and cleaning, cosmetic consultation, or second-opinion visit. We are located on the west side of the historic town square in Pella. IA. Please see the map for directions. Traditional X-rays require chemical treatments to your mouth and produce low-level radiation. Sometimes oral examination requires a closer look than your dentist’s naked eye can execute, and that’s what makes dental x-rays so necessary for thorough exams by your dentist. Thankfully, Dr. Allen and our team have taken advantage of the most cutting-edge and state-of-the-art technology to achieve the greatest levels of ease, comfort, precision, and patient health. We’re equipped with digital X-rays to provide the smartest, safest, and most serene examination possible. Digital X-rays are employed alongside computerized equipment and customized software in order to capture X-ray images of your teeth and mouth. Digital radiography is superior to the outdated traditional X-rays. It’s extremely accurate, but equally as important if not more, it’s safer. There are no chemicals used in the process of digital X-raying. Additionally, you’re exposed to approximately 80 percent less radiation than a traditional x-ray. After the images are taken, they are viewed instantly. The images can be enhanced for a more detailed look. Furthermore, we can store them electronically and email them easily to insurance companies and any other desired specialists, which does wonders for speeding up the processes of your healthcare. One of nature’s greatest assets is the smile. What are the known perks to smiling? Smiling is more than just attractive. It has such a positive effect on those around you that it has been proven to increase your earning power by as much as 15 percent. It’s a natural mood enhancer. When you smile, your mind registers the mouth movement as a happy mood indicator, and tends to follow suit. The body tells the mind what to believe sometimes. A smile signals that you’re in a good mood, and soon enough after smiling, you will be! Finally, smiling is just plain healthy. Studies have found that it can lower blood pressure, boost the immune system, and fight pain and depression. Dr. Allen and our team offer cosmetic dentistry, such as porcelain veneers and teeth whitening procedures, to enhance your smile. With a renewed confidence in your smile, you will experience all of the naturally occurring perks that come with frequent smiling. Tooth decay afflicts 99% of us. With this in mind, you might say that cavities are almost inevitable. Of course, brushing and flossing daily, drinking plenty of water, and limiting starches and sugars will help deter tooth decay. Attending regular six-month checkups will also help. And you should know, checkups have changed as technology has evolved. 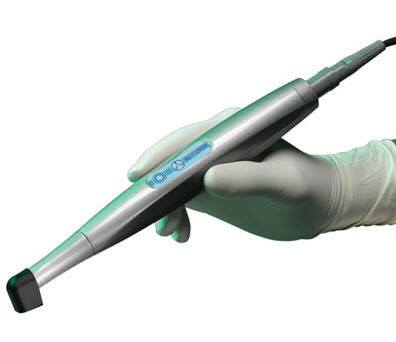 Dr. Jeffrey Allen now uses Spectra, a revolutionary laser caries detection system that detects tooth decay (dental caries) in the very earliest stage, called demineralization. Of course, there are no guarantees, mind you, but these have all been proven to increase among tobacco users versus nonusers. The American Academy of Periodontology as well as the American Dental Association advises against it, but tobacco use can help you harm your oral health. Why would you want to damage your oral health? You would not. If you’re aware of all the oral health risks involved, your decision to use tobacco might now seem crazy, but at least not uneducated. 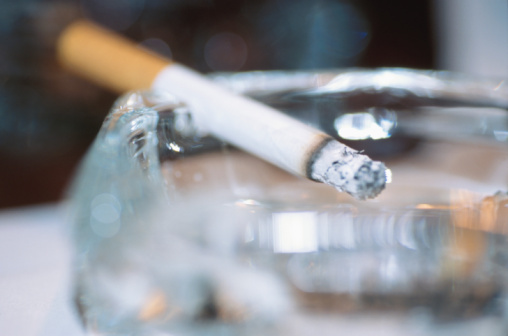 Whether or not you use tobacco, a dental checkup is wise. There’s a lot dentistry can help you with either way; but by “help” in this case, we mean help you with your health. For a full preventive dentistry treatment, come in for your next dental checkup. 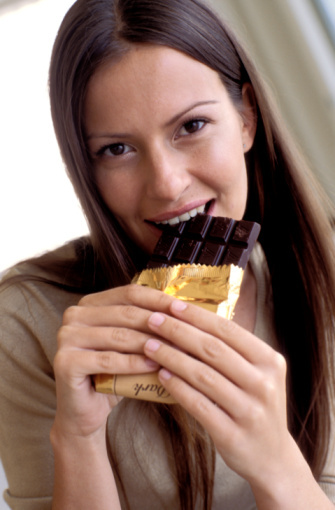 Flavonoids in chocolate account for strong antioxidants. In fact, the Journal of Agricultural and Food Chemistry in 2003 found that a cup of hot cocoa that’s made from pure cocoa powder has more than double the antioxidants of red wine, black tea, and green tea. What does this mean? It means that in conducted studies, a seven gram dark chocolate treatment each day has reduced C-reactive protein by 17 percent. Okay fine, but again, what does that mean? Due to reduction in C-reactive protein, cardiovascular disease was lowered by one third in women and one fourth in men. The addition of chocolate to your diet decreases your risk of developing cardiometobolic disorders, such as coronary disease, stroke, and type-two diabetes. Milk chocolate isn’t as full of antioxidants, but at least the milk is good for your teeth. The calcium in milk is essential to bone health, but also, milk adjusts the pH levels in your mouth. Often, an acidic pH is caused by acidic drinks and the acid produced by bacteria feeding on starches and sugars left on your teeth. Milk neutralizes these acids, which protects your teeth! “Chocolate treatment” can be self-administered at home, or anywhere in public. For a full preventive dentistry treatment, come in for your next dental checkup.